While the growth of digital technologies and electronic information has certainly paved the way for large-scale data breaches targeting primarily personal electronic information, paper is still the most common means used by identity thieves for stealing information. So why, as a homeowner and individual, should you worry about shredding your personal documents? Just because you aren’t a big office and don’t have piles of sensitive records, doesn’t mean you don’t still have some records in your name that, if they ever fell into the wrong hands, could hurt you. With dumpster-diving for records and fruitfully capitalizing on improperly disposed documents as just one of many options for a fraudster to wreak costly and time-consuming havoc on your personal life, taking the simple steps to securely shred your financial statements, mail, and other sensitive documents is a precaution anyone and everyone should take seriously. Why Should I Shred My Personal Documents? How Much Paper Do I Need Shredded? There are always essential documents that every person keeps secure, such as passports, social security cards, and health or car insurance information. But where does all the other paper in your house come from? Some individuals work from home and accumulate documents over time through their work. Others have paper they just hold onto—and probably for too long—that should be properly shredded and disposed of to prevent the risk of this information being misplaced or worse, stolen. Either way, whether they’re old medical records, financial information, or any other personally identifying information, there’s plenty of reason to ensure secure destruction using residential shredding services. Throughout this in-depth white paper, we provide a more detailed breakdown of residential shredding for homeowners both new and familiar to the world of shredding their personal documents. Here, we cover not only those essential phrases and terms for every homeowner to know during the process of shopping for shredding services—we additionally cover the top residential shredding service options and even include answers to several commonly asked questions as well. When planning a shredding project of any size—be it ordinary, hard-copy documents or unused electronics—homeowners will come across a variety of common phrases and services that are important to understand. 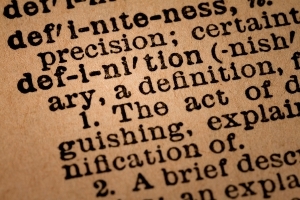 Familiarizing oneself with this terminology helps to make sense of not just the ins-and-outs of the shredding industry itself, but also the advantages and disadvantages of various residential shredding strategies so homeowners are best able to evaluate the options that will best suit their needs. 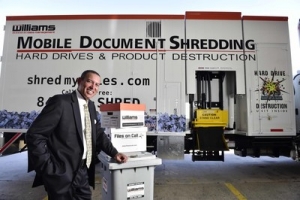 Often coming into play with services like mobile shredding, offsite shredding facilities, and even the occasional drop off location, witnessed shredding involves the ability for a homeowner or business to watch the shredding process as their documents are securely torn to bits. Depending on the service you select, there are actually several ways to witness shredding. While a mobile shredding truck allows for the chance to witness the documents being unloaded and destroyed right in your parking lot, offsite shredding facilities can offer customers closed-circuit TV broadcasting of their plant so you can still watch. By witnessing the shredding of their documents, homeowners are able to ensure that a secure chain of custody for their records remains intact and equally guarantees that records aren’t removed or tampered with prior to shredding. Rather than ongoing services, purge shredding is a one-time event where a homeowner or business decides to shred a large number of documents all in a single shredding project. When individuals use purge shredding services, it is typically for shredding a large archive of documents that are past their required retention time. While they are usually done once annually, a one-time shredding purge can be requested any time you have a large number of documents needing shredding. This can be a great option for homeowners who are clearing out a significant number of old personal documents, or even businesses that don’t need or want ongoing shredding services for their files. Whether you hire the services of an offsite or mobile shredding provider, it’s important they document every step of their shredding process in a certificate of destruction to prove your documents are securely shredded and destroyed. A fundamental component to ensuring the security of your shredding service, these certificates of destruction can come in handy in the event of you ever needing protection from legal action or an audit. When planning a residential shredding project, it’s important that you are fully prepared with the information you need to complete your service. Most notably, it is a good idea to try and gauge the approximate amount of paper you will need shredded, as well as the desired budget (and consequently, service) that you will be planning on. How Much Paper Do I Actually Have to Shred? If you are using standard bankers boxes, the standard dimensions are: 12.5” W x 15.5” D x 10.5” H. As a general rule of thumb, this can usually accommodate between 2,000–5,000 sheets of paper—which equates to approximately 30–35 lbs. For a large file box, typical dimensions are: 15” W x 24” D x 10.5” H. Depending on the number of folders you have and paper type, this will usually hold between 4,000–4,500 paper sheets, or roughly 50–60 lbs. When you have documents kept on a shelf or in a filing cabinet, the total number of documents will truly depend on how tightly they are packed in. On average, you can make a safe estimate that there will be between 150–200 sheets of paper per inch of cabinet or shelf-space. While this number will still only be an approximation, it can help you to get a better idea for the pricing of your project. Additionally, if you do still have cost questions or would like to get an even more specific idea of pricing, we can always get you a more accurate cost quote as well. How Much Will My Residential Shredding Project Cost? 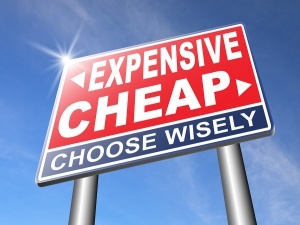 Depending on the shredding service you choose for your project, pricing can vary to some degree. Besides just the service itself, there are other factors which can affect final cost, including your location, contractor, and the actual volume of paper you need shredded. Drop Off Shredding Services – Retail drop off locations typically charge around $1 per pound on average. For a single bankers box (roughly 30 lbs of paper), final shredding costs would total at about $30. Ship ‘N’ Shred – Much like a retail drop off service, the average cost for Ship ‘N’ Shred services works out to about $32 per bankers box. While Ship ‘N’ Shred also allows homeowners to simply drop off documents for shredding, this service additionally offers the convenience of having documents picked up at one’s curbside as well. Mobile Shredding – With mobile shredding services, homeowners are provided a middle ground between small-scale drop off shredding and large-scale offsite services. For projects that are 300 lbs (roughly 10 boxes) or less, mobile shredding will only run around $100—equating to about $10 per box, rather than $30. Offsite Shredding – Since the operator of an offsite shredding facility does not have to take the time to shred the documents they collect on-site, they are able to shred a larger volume of overall documents. As a result, offsite shredding services come at a lower price—usually $60–80—leaving offsite the ideal service for any project larger than 300 lbs. So What Are My Options for Shredding Services? Upon finally reaching the point in your planning process when it comes time to evaluate which service will work best for your needs, you may now be asking yourself just how exactly the various shredding services work, and what features they may offer. With a mobile shredder, the company provides secure, locking bins where you can store your documents for future shredding. Once the container is filled and you’re ready to have your documents shredded, you can schedule a mobile shredding truck to come directly to you, conveniently shredding your documents at your curbside while you watch. Because documents are kept in locked bins and dumped into the shredding truck like trash bins into a garbage truck, drivers and shredder operators never make physical or visual contact with your documents. To further guarantee the security of their service, many providers even offer certificates of destruction once shredding is complete. Do you have documents needing shredding, but not enough to schedule an actual shredding truck to come to you? No problem—at Shred Nations we have locations in every state and in nearly every major city where you can simply walk in and drop off your documents for shredding whenever you need it. Just check out our locator to find your nearest Shred Nations drop off location. No Scheduling Needed – Most retail drop off locations are open Monday–Saturday, meaning you can shred your documents on your schedule. Same Security, Greater Convenience – Like mobile shredding services, every drop off location uses locking bins to collect documents so your records remain secure. 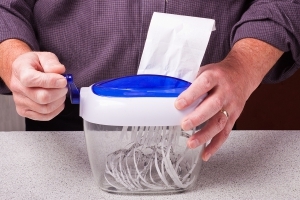 Don’t Worry About Paper Clips and Staples – While paper clips and staples will cause the blades of shredders from an office supply store to quickly dull, feel free to shred your documents—paper clips, staples, and all—in our industrial shredders. Drop Off Charges by the Pound – No matter the size, thickness, or number of documents you bring, our drop off locations charge per pound, making drop off a cost-efficient and convenient option for those small shredding projects. Can I Just Rent or Buy a Shredder? While homeowners certainly do have the option of buying or renting a shredder of their own, it usually isn’t the best investment of their money—or time. Besides just innovative services and process techniques in the shredding industry that have allowed providers to better cater to the needs of the residential shredder, shredding from one’s home can be messy, time-consuming, and simply inconvenient. Although there technically are two options available for renting a shredder—either a standard personal shredder or a heavy-duty, industrial shredder—a large industrial shredder is already far too large to fit within an office door, and can you even imagine one humming “quietly” away in your house while it works? Instead, homeowners are more realistically limited to using personal shredders found at office supply stores, which struggle to maintain an average speed of 10–15 pages at a time without jamming, overheating, or slowing down for any other unforeseen reasons. Once one puts this in the context of periodically trying to shred a bankers box filled with 2,500–5,000 documents with a poorly built personal shredder, and then follows this by comparing that painstaking process with other, far more convenient services, the appeal of renting or buying a shredder to do the project oneself may become less appealing. 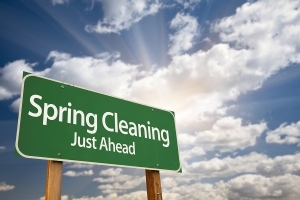 Whether it’s simply time for that long-awaited spring cleaning, or it’s just in keeping with your regular home shredding schedule, shredding your documents and protecting your personal information is an important task that should never be taken lightly or put on the back burner—for too long at least. How Much Do You Need Shredded? – Answering this question not only helps to get a good estimate of what your total cost will be—it can also help you strategize for your best service option.While a project of only 2-3 bankers boxes may be best served by a convenient drop off location, a larger project up to 300 lbs (roughly 10 boxes) will be better suited for mobile shredding services. 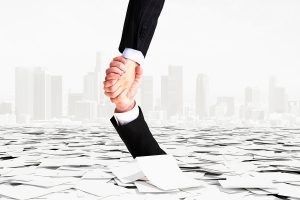 What Do You Value Most in Your Shredding Service? – Different shredding services offer varying advantages that—depending on the preference of the homeowner—may appeal to some more so than others. If you want to personally witness your documents being safely shredded, consider a mobile shredding truck coming directly to your curbside. For those who prefer convenience, there’s always drop off locations, and if you just want the best bang for your buck—then stick with classic offsite shredding & pickup services. Get Free, No-Hassle Quotes on Residential Shredding Services Near You! While individuals do not have the massive targets that are painted on large-scale companies by potential identity thieves and fraudsters, they are not out of the crosshairs while their sensitive personal documents aren’t being properly shredded and disposed of. At Shred Nations, we partner with a nationwide network of the top shredding providers who cater their services using strategies like mobile shredding and drop off locations to best meet both the needs and budgets of the residential customers they serve. To get started either finding a nearby drop off location or scheduling with a shredding provider in your area, simply give us a call at (800) 747-3365, or just fill out the form to the right of your screen to get free shredding quotes today! 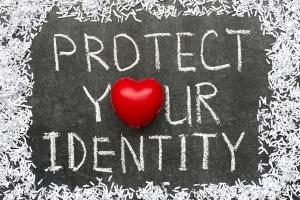 Shredding paperwork that contains sensitive information is vital if you are serious about protecting you and your family from identity theft. The best way to ensure your protection is to do thorough research and find the home-shredding method that best suits your needs. This link will take you to a list of several additional residential paper shredding resources so you can make an informed decision, and do everything in your power to keep your family safe. 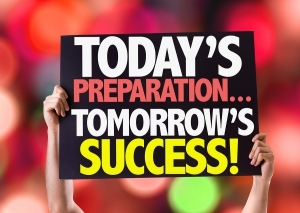 When it comes time to shred your old files, knowing what to shred vs. what to keep is step one. A solid goal is to come up with a personal record retention schedule, so you immediately know if a document is ready to be shredded. This article discusses the most common personal documents such as bank statements, paystubs, and tax returns, and how long each item should be kept. 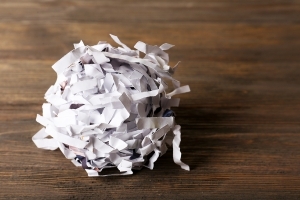 With a clear goal, any home-shredding project can be a breeze. Shredding personal documents can get confusing, and sometimes the best avenue to success is to seek advice from professionals. Shred Nation’s frequently asked questions page has answers to common questions regarding shredding laws, shredding service types, costs, and exactly what it takes to complete a successful shredding project from start to finish. Make your shredding project fast and effective by learning as much as you can about home-shredding before you begin.